Kate is a middle-aged woman trying to steer some order into a life that is going off the rails. When she adopts a lurcher called Wolfy, the shabby rescue dog saves her from herself. But when the dog disappears, it is up to Kate to hit the streets of London and find him. Will she save him, as he has saved her – or will she lose everything? As she trudges endlessly calling his name in the hopeless hope she may find him, she runs into other people’s landscapes and lives, finding allies amongst psychics and mysterious midnight joggers. Trying to find her dog tests her relationship, and her sanity, to its limits – and gets her thinking about her life, and why things have turned out as they have for her. 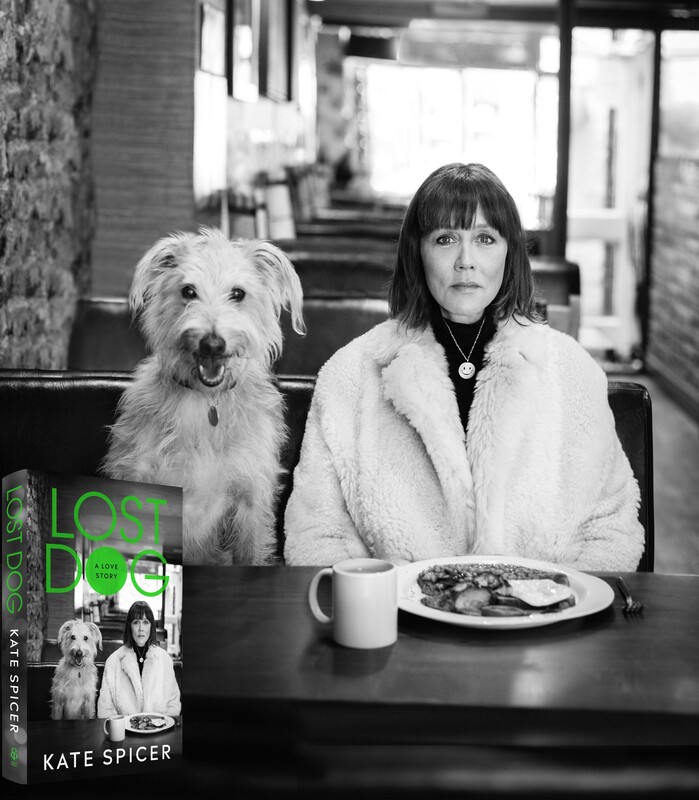 A brilliant, life-affirming tragicomic memoir, Lost Dog is a book like no other about the myth of modern womanhood, and the enduring mystery of the relationship between human and canine. Kate Spicer is a lifestyle journalist who has written for Sunday Times, The Times, The Daily Mail, the Evening Standard, Red magazine and The Pool, and has appeared on television in everything from MasterChef to Newsnight. She has made three acclaimed documentaries in the last ten years all of which still air internationally, including most recently Mission to Lars, described as ‘beautiful’ by the New York Times. Wolfy Spicer was probably born around 2012 and probably has 30 brothers and sisters. His early life is a mystery as he lived outside the law in his youth. Authorities finally caught up with him living rough on the streets of Manchester in 2014. After one failed adoption, he spent six months in an Essex orphanage until he found a suitable new home in London’s fashionable Notting Hill where he lives to this day with two devoted old retainers. Wolfy found fame in 2016 when he lived homeless for ten days on the streets of North London prompting a nationwide #findwolfy campaign backed by loads of famous people, including some really good ones like Ronnie Wood and Ricky Gervais, and some controversial chaps called Jeremy: Clarkson and Corbyn. He never speaks to the press, or indeed anyone, because he is a Norfolk Lurcher and everyone knows they can’t talk, they can barely be bothered to woof in fact. Wolfy does not get out of bed for less than ten thousand biscuits a day. He has appeared on Sky News and BBC London and in The Sunday Times, Daily Mail and The Pool.